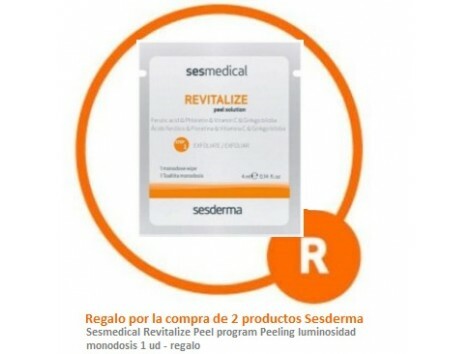 Sesmedical revitalize a program-medical chemical peels for home use in concentration. Brightness peeling indicated for sallow and dull skin. with slight pigmentation and / or flash treatment in two steps. Towel treatment with 8.5% of assets AHA (mandelic acid and glycolic acid) and potent antioxidants such as vitamin C, ferulic acid and Floretina. It acts as an antioxidant, inhibits tyrosinase and complete the protective action of a plot. The sealed cream is a cream treatment assets as retinol, growth factors, ginko biloba and mimetic peptides to optimize results. 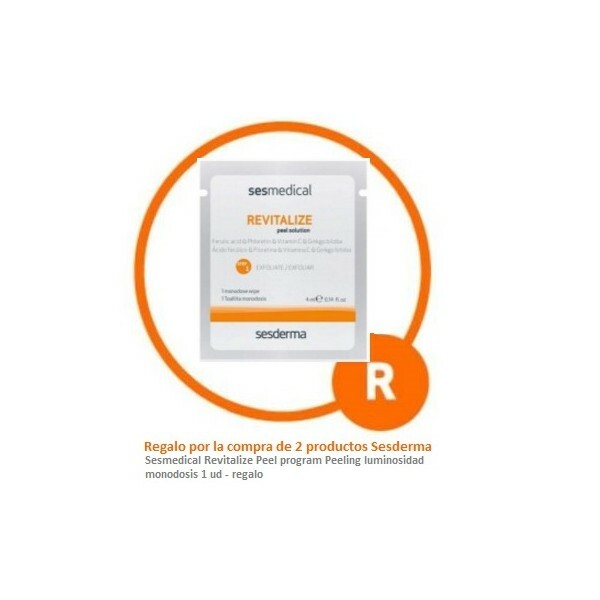 REVITALIZE program staff peel thanks to its active antioxidant cocktail restores skin and shine the light lost by the action of radicals, refines the skin to stimulate the removal of dead cells and lightens skin pigmentation. Using Sesmedical program Revitalize Peel Peeling light? With clean, dry skin (preferably at night) passing the impregnated wipe the skin avoiding the eye area. Once dry, if desired can be repeated another layer of product. Apply sealing cream and leave overnight. It may appear a slight tingling, redness or irritation, which is normal. If symptoms persist, consult a professional. Reapply weekly.